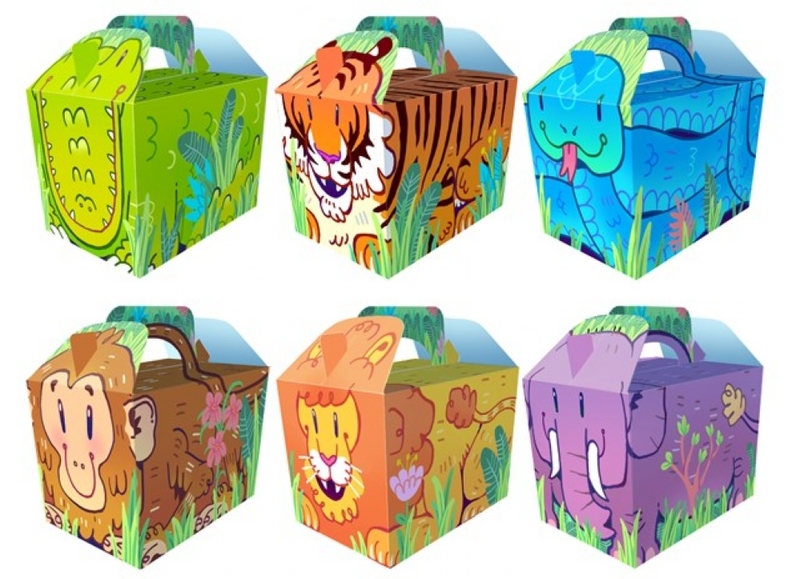 Suitable for food or gifts, these Cartoon Jungle food/party boxes come flat packed, pop open easily and are closed and sealed with the side tabs. 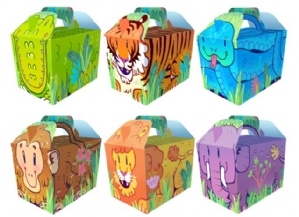 The boxes measure 15x10x10cm if measured around the top, and taper down to 14x9x10cm if measured round the base. The height including the handle is 15cm.